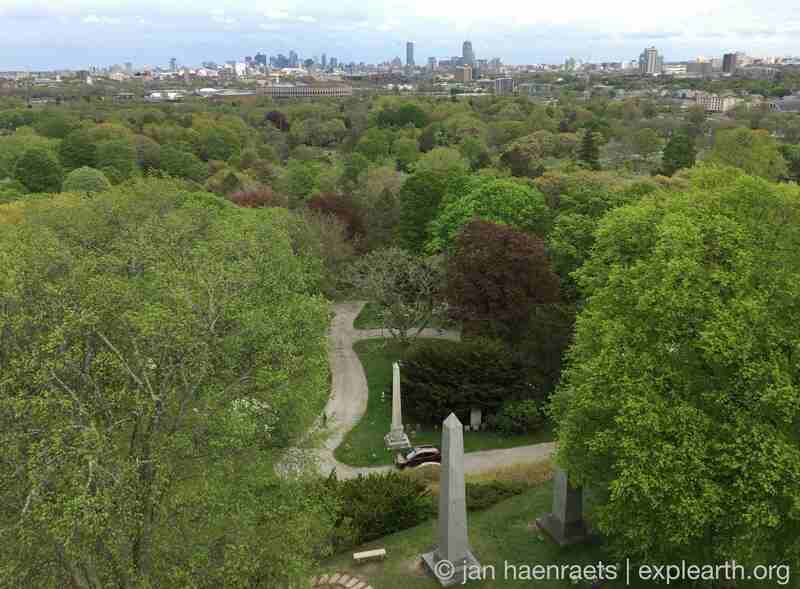 Mount Auburn Cemetery in Watertown and Cambridge, Massachusetts, was founded in 1831 and became a model for the American ‘rural’ cemetery movement. 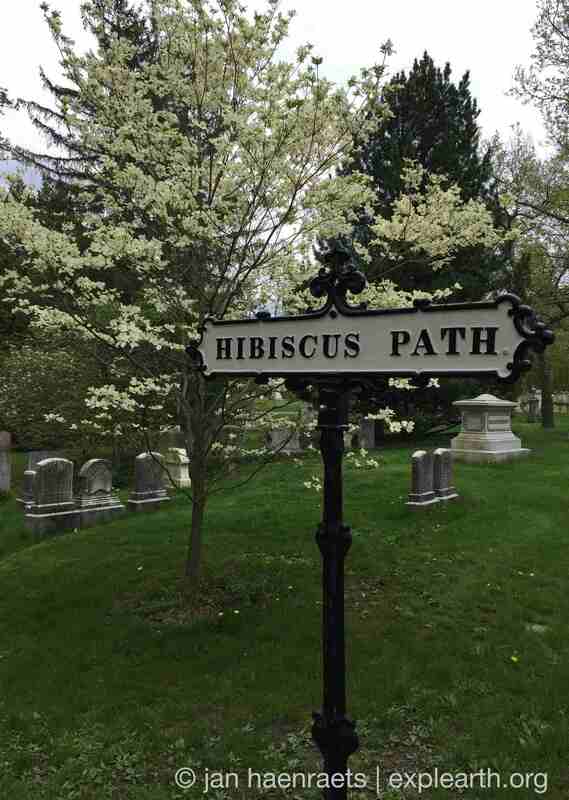 It was listed on the United States National Register of Historic Places in 1975 and received National Historic Landmark designation in 2003. 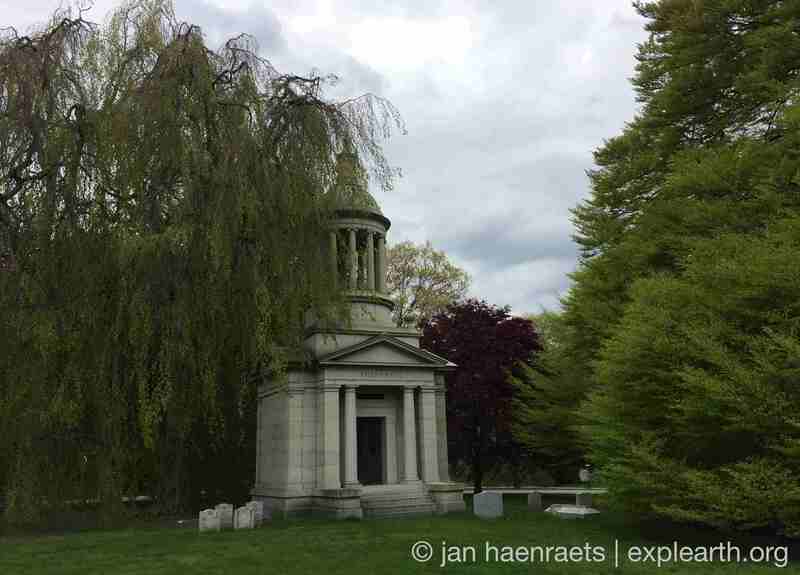 In an earlier article on ‘A Landscape of Memory: Mount Auburn Cemetery‘, some historical information and Fall photographs of Mount Auburn Cemetery were already shared. 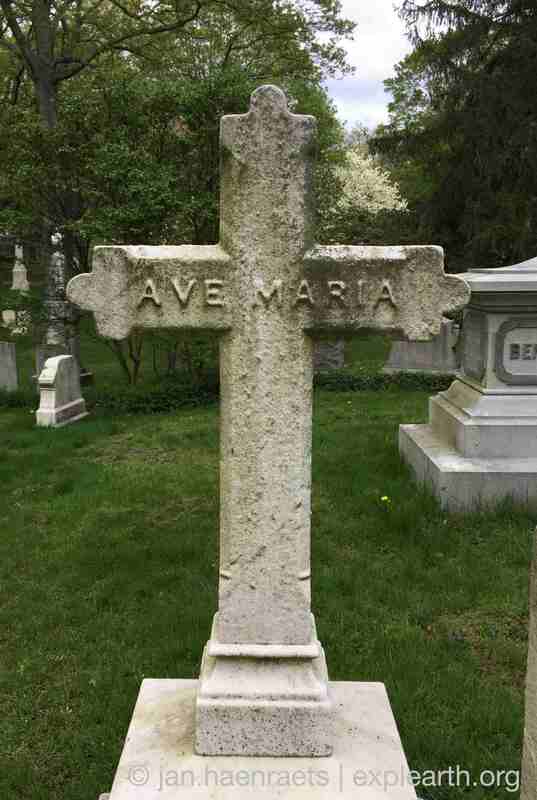 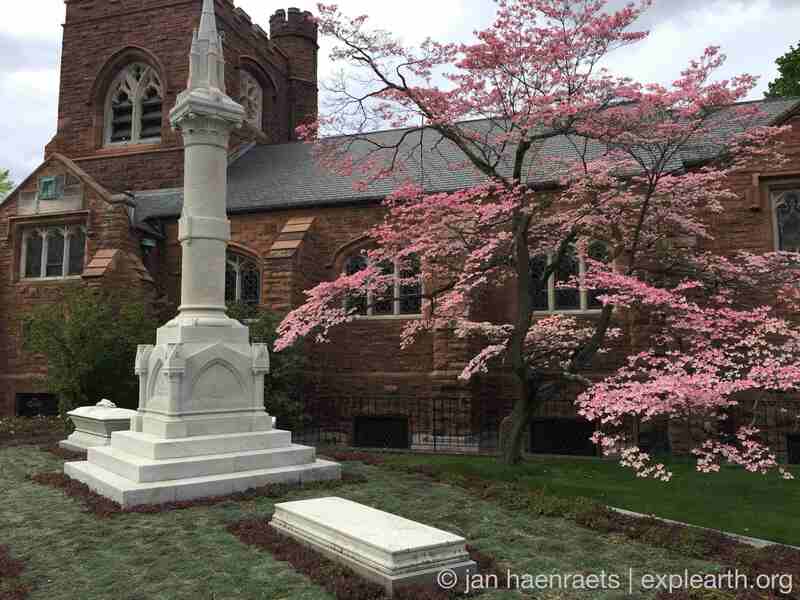 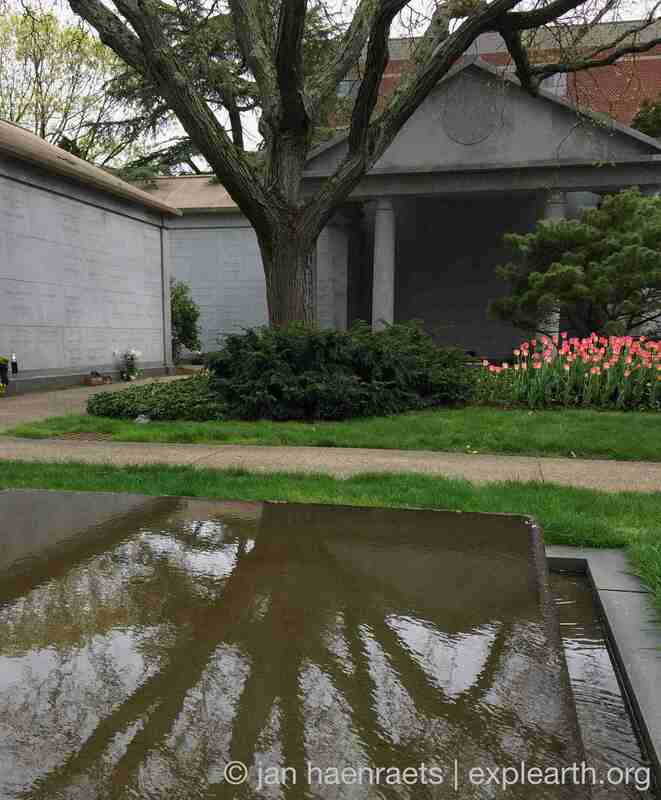 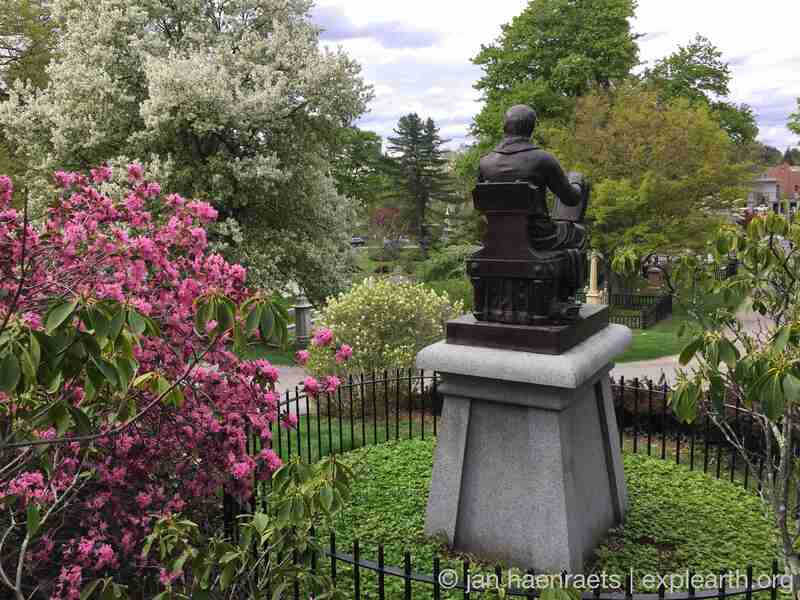 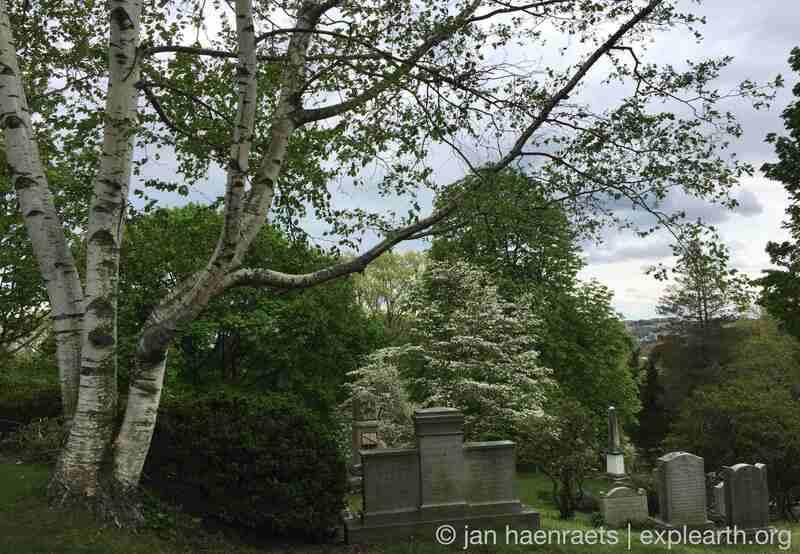 In this new post a few photographs show the cemetery in its Spring condition, when leaves were still turning green and species such as rhododendrons, dogwood trees (Cornus Florida), tulips, and red beech and maple trees provide some early color. 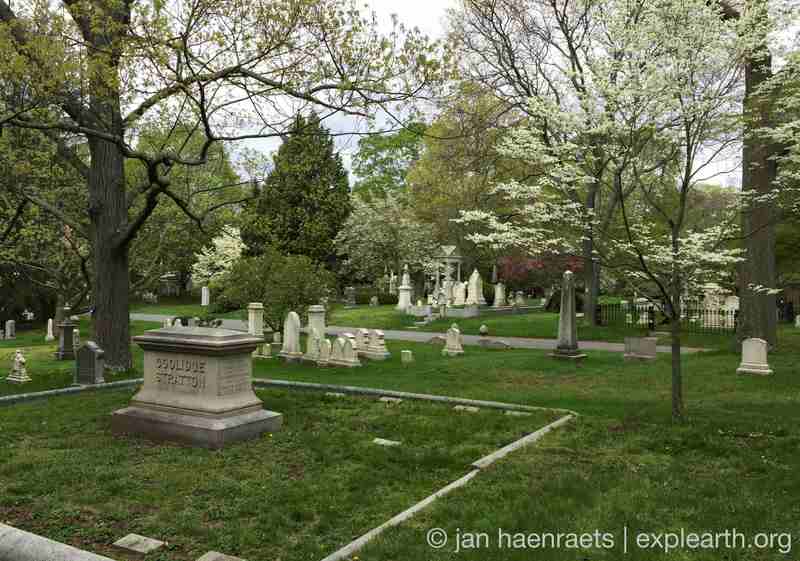 The photographs provide a contrast with the Fall atmosphere that was shown in the earlier article. 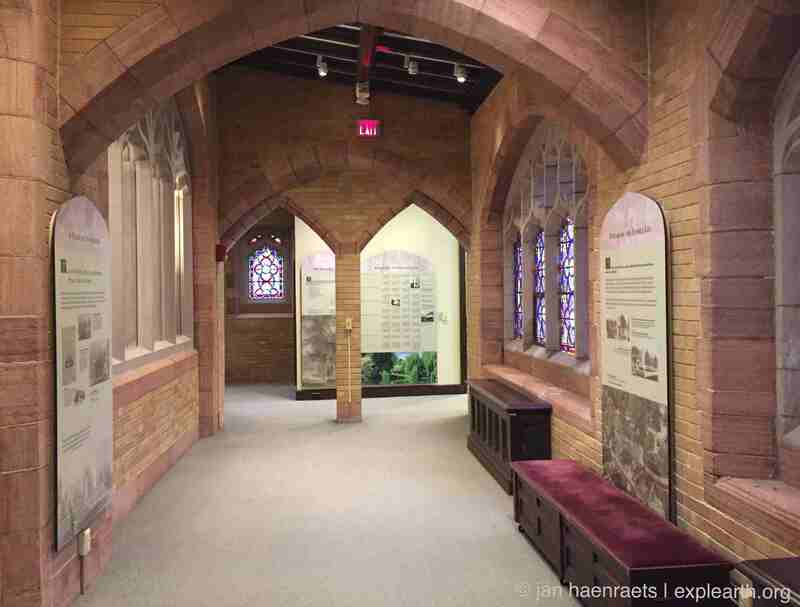 In the visitor centre in the Bigelow Chapel, near the main gate in the north of Mount Auburn Cemetery, several interpretation displays can be found. 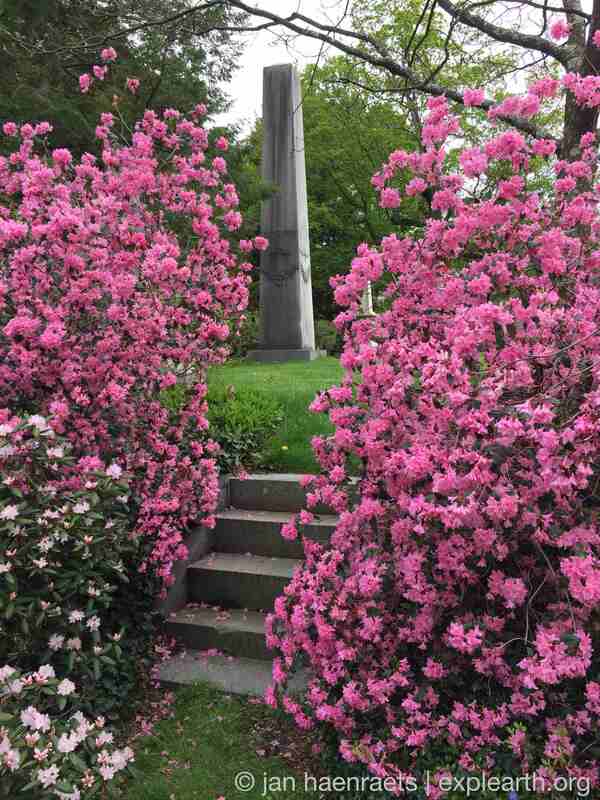 A leaflet with a map of the main routes and features in the cemetery can also be picked up at the visitor centre. 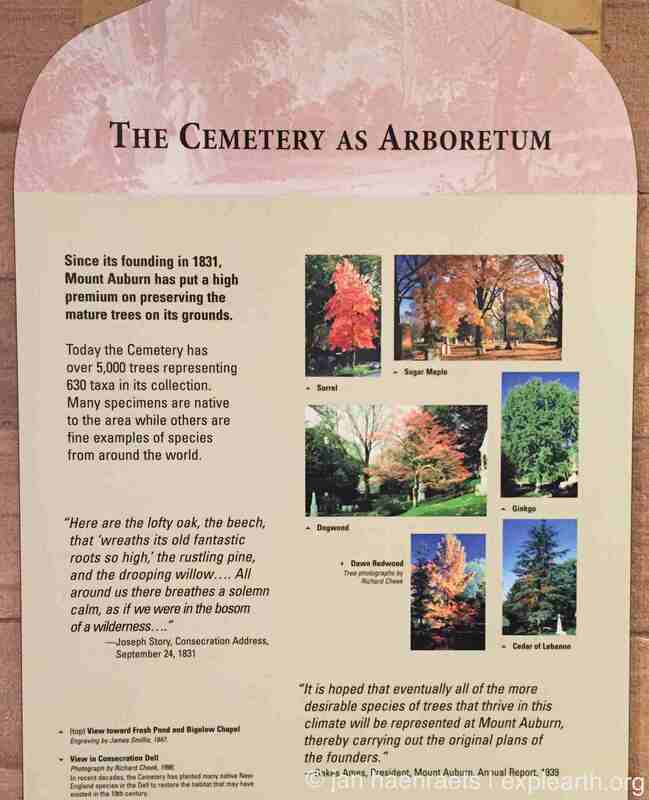 The leaflet by the Friends of Mount Auburn Cemetery has a map of the cemetery and includes on its cover a print of the painting ‘View of Forest Pond’, which has been attributed to Thomas Chambers, of around 1840, and in oil on canvas. 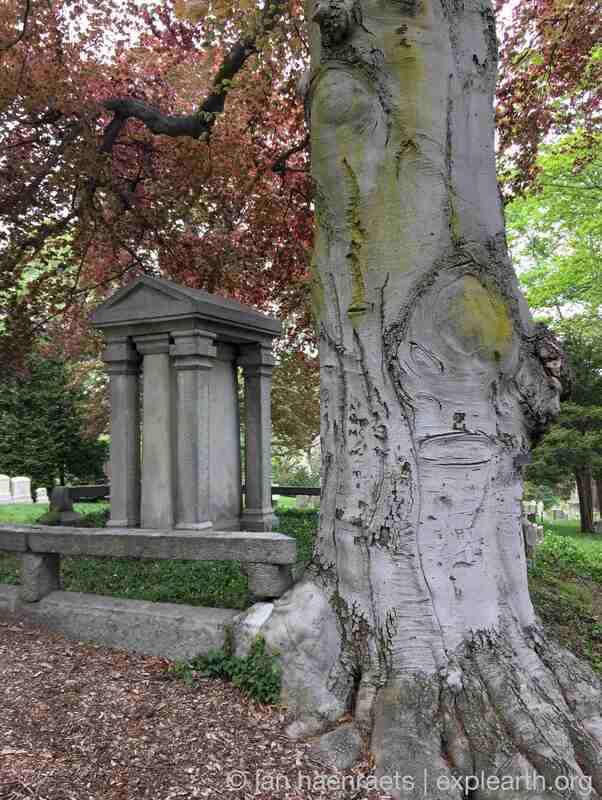 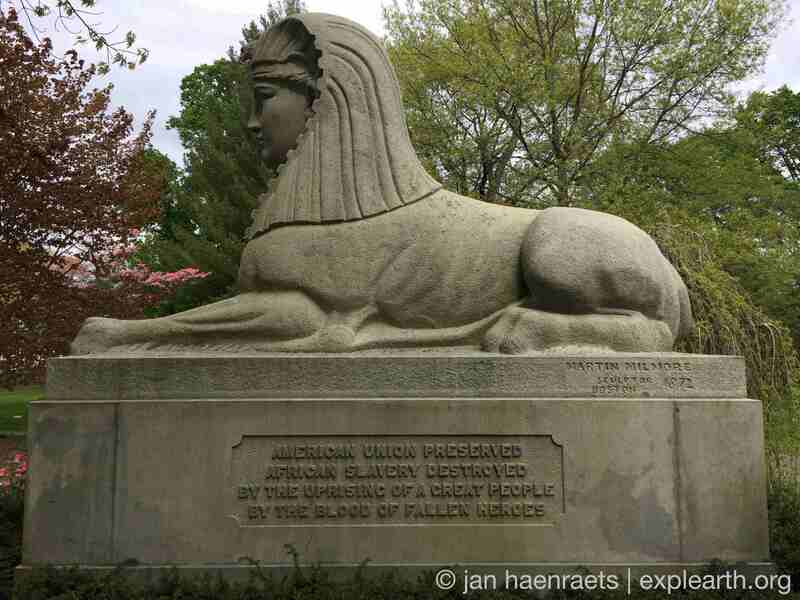 For more general information, do take a look at the Friends of Mount Auburn Cemetery website: Mount Auburn Cemetery. 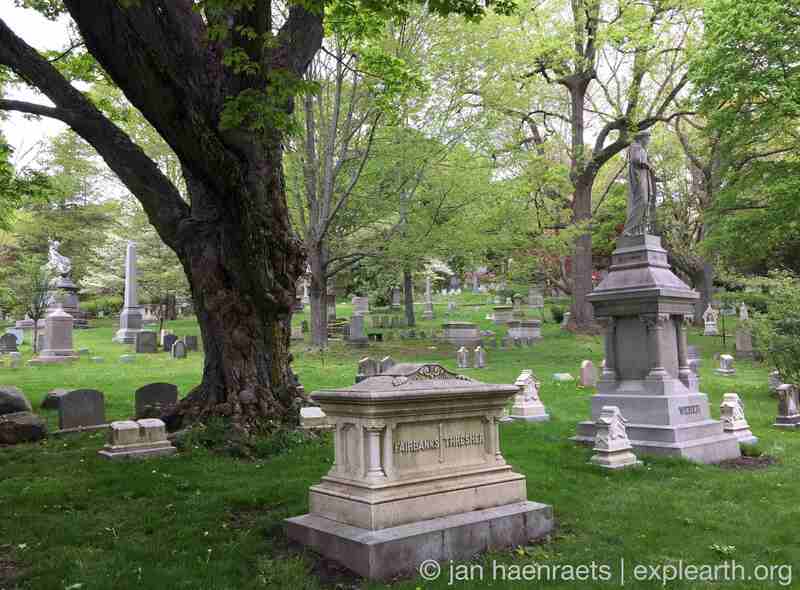 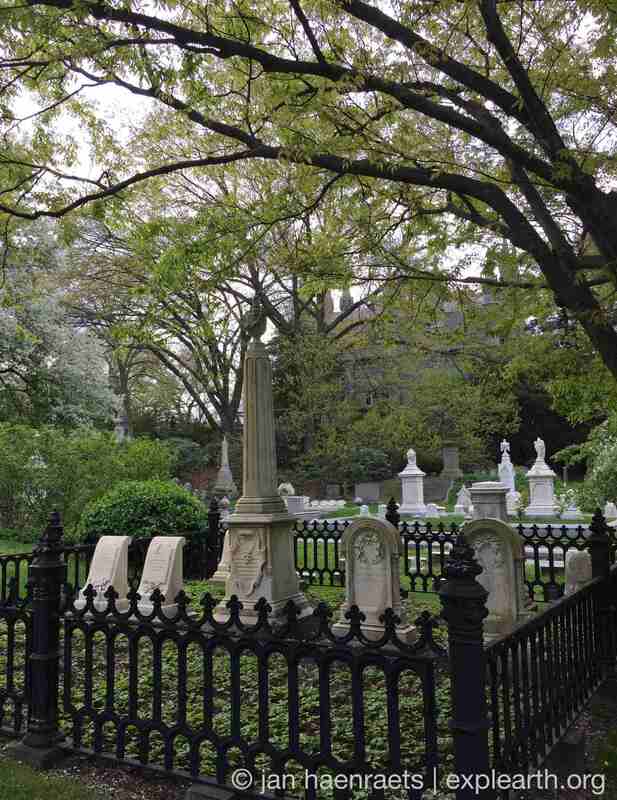 For some information about the cemetery’s history see the article on ‘A Landscape of Memory: Mount Auburn Cemetery‘.